At Petit Monde, we only represent the very best Nannies, Tutors and Babysitters. We require all of our candidates to have a minimum of two years' relevant experience and impeccable references. A clear Criminal Records Bureau check is also necessary. Please refer to the CRB page in this section. The advantages of being on Petit Monde's books are numerous. We consider our candidates as the foundation of our agency, therefore we value you as individuals, only putting you forward for positions perfectly suited to your personality, skills and experience. Not only will you be assisted throughout the recruitment process, but we will also provide on going support. Look at our ‘News section’ on the home page for details about our Nanny Cafe. If you are interested in becoming a Petit Monde candidate please complete the registration form and one of our consultants will contact you as soon as possible. All applicants with a suitable profile will be interviewed in person. 4-Written references from previous employers, including contact details. 6-Current clear Enhanced DBS check or, if you have been in the UK for less than six months, the equivalent Police check from your country (extrait de casier judiciaire in France). All nannies in the UK are employed by the family for whom they work and not by the agency. As such, the family is responsible for paying your salary, including your tax and National Insurance contributions. If you do not already have one, you will need to apply for a National Insurance number. Once working, you should receive regular payslips indicating your salary and deductions made for tax and National Insurance. Employment contracts are not obligatory but may be helpful to aid understanding between the parties from the outset. In any event, it is perfectly reasonable for either the employee or the employer to request a contract. The friendly meeting place for Child-Carers. 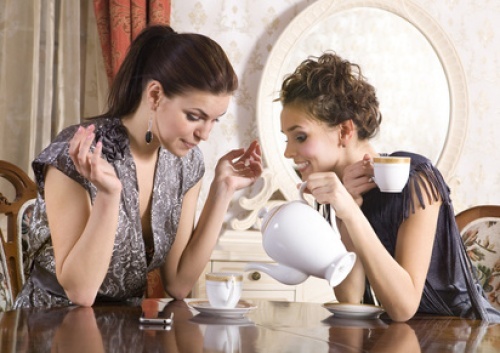 Join us to chat and share your nannying experiences over a cup of tea. For more information, go to "Cafe Nanny" Section and check with us for details of our next meeting!